William Orlowski walked into his first dance class at the age of ten and found a passion that held true through a long career as performer, teacher and choreographer. 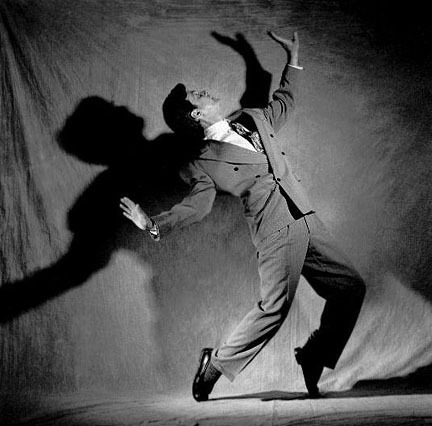 He fell in love with tap while watching musicals starring icons such as Fred Astaire and the Nicholas Brothers. It took five years to convince his mother to let him take lessons, but once he started, he never stopped. "My dad got me a piece of plywood to practice on and I would practice before breakfast and after school. My mother had to haul me out of the basement just to go to bed...I couldn't believe the magic." 50 years later there is still that same passion and as well as a wealth of ideas for new projects he would like to develop. His resume includes film, television and stage and over seventy works to his credit. As well, he has toured with Canadian and American orchestras, choreographed for the Shaw Festival and won two Dora Mavor Moore Awards. Time is also spent with the Smile Company, a theatre group that performs for people in nursing homes and hospitals. His philosophy - tap is an art form that should present works of substance performed with effortless technique and strong musicality. In 1969, Toronto was the place to be. High school diploma in hand, Orlowski hit the audition circuit. He remembers, "I lucked out on my first audition and landed Ann Murray's first television special with Glen Campbell." After that it was a series of commercials, variety television shows and musical theatre which he credits with teaching him the skills necessary for a professional career: watching, listening and learning the basics of choreography. One memory he shares with a chuckle is a Pepsi commercial he worked on. "I'm a butter fingers as anyone will tell you. We were dancing, shaking the bottle and going up and down escalators. It was really hot. I dropped the bottle and it actually exploded. It got all over everybody's costume." Following this period of time came the incredible experience of working with Canadian tap pioneers such as Alan and Blanche Lund, Bob van Norman and Jack Lemen – names sadly forgotten by today's dancers. After seven years it was time for a change. In January 1977, that change turned out to be opening the Hoofer Club (Canada's first dance school dedicated solely to tap) and co-founding The National Tap Dance Company with Steve Dymond. At the time, tap was focused on the old Vaudeville routines. 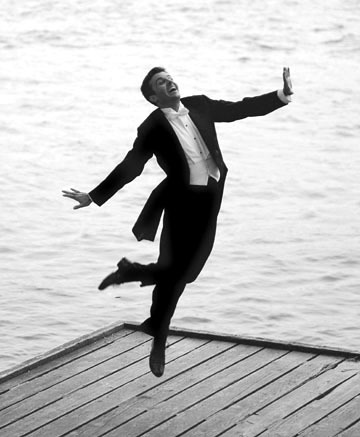 For Orlowski, “I was there to teach tap dancing technique and train dancers for the Company. I wanted to be adventurous and try new things. I had studied with the old timers, but they didn't speak my language.” The first class, no one came, but by the third week classes were over flowing. Articles on the new studio appeared in the Toronto Star and the Globe and Mail. Left Photo by the Toronto Star, Right Photo with Leslie McAfee. Photo by Cylla Von Tiedemann, 1993. Rehearsals for Stepping Out, Paramount Pictures, 1990. Apart from the company, Orlowski went on to expand his horizons by exploring opportunities in film, theatre and on TV. He choreographed for films such as Stepping out with Liza Minelli and in 1990 formed his own company, the William Orlowski Tap Dance Projects. One particularly rewarding time was spent working under director Christopher Newton at the Shaw Festival. 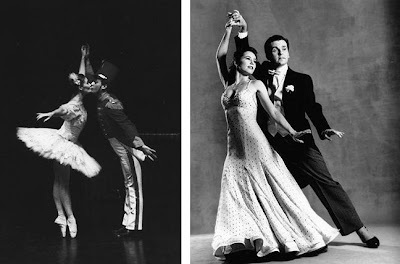 “He was gracious with me as a choreographer and allowed me to watch for two days. The actors did not have dance training, so my job was to observe the way they moved as their character in the musical, taking note of Christopher’s direction to the actors.” Early in his career he learned that every dancer is unique in their strengths and bring a different sense of timing to the choreography. Orlowski worked with the actor's natural strengths, encouraging them to stay in character. The rehearsal period was used to develop the dance and be true to their part. For more on William Orlowski or The National Tap Dance Company please go to www.williamorlowski.com.